We at Trillium have lots to brag about! Now some of the recognition we've received is displayed on a wall so all who come to Trillium can see it. 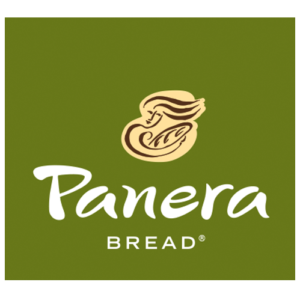 our 13184 Centerpointe Way location. 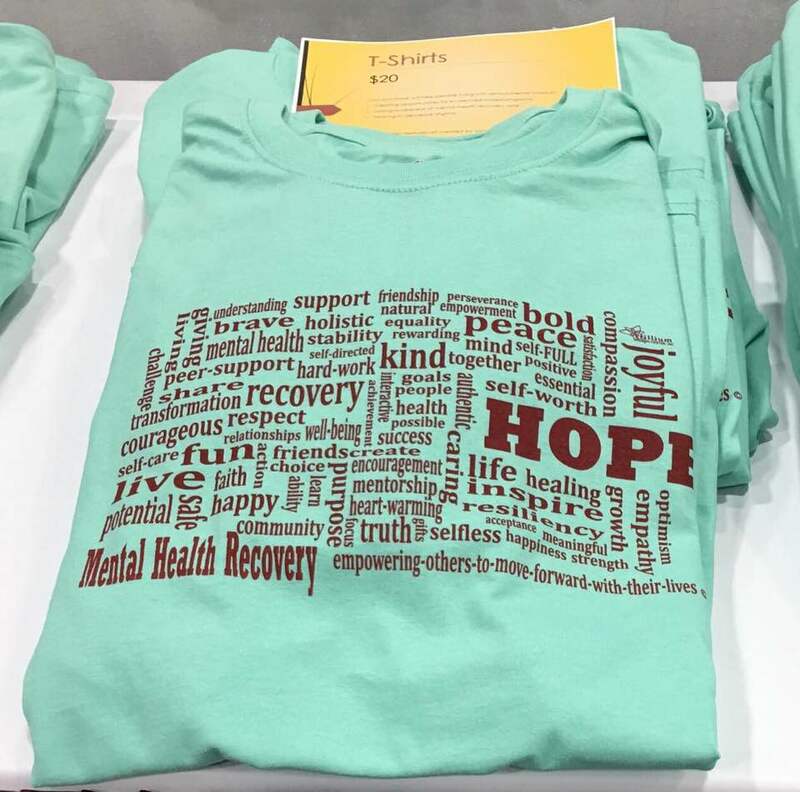 We have some cool new t-shirts for sale to support mental health recovery in Prince William County! Your order will help people living with serious mental illness, by directly benefiting the artist, creating opportunities for evidenced-based programs, raising awareness of mental illness and helping to decrease stigma. They come as single 5X7 cards for $4 each, plus shipping if applicable, in one of the 10 images below. Trillium Center is a peer-led, private non-profit center for adults, that promotes, encourages and facilitates recovery from serious mental illness. 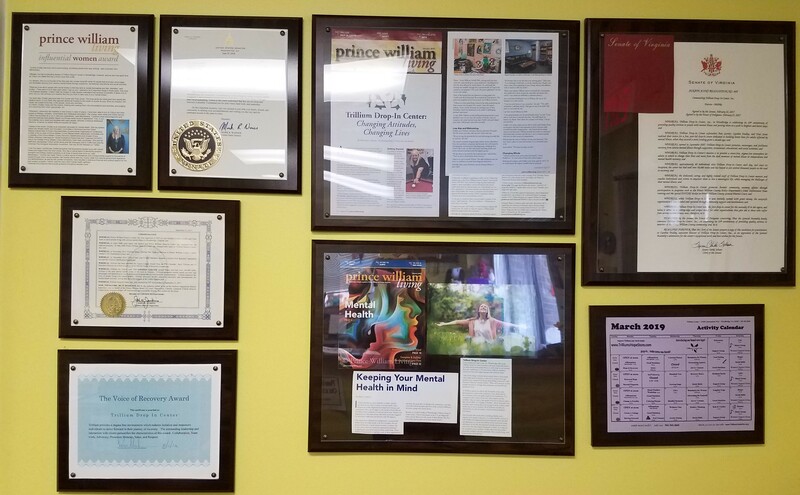 Our facility gives mental and behavioral health support that includes educational, recreational, and supportive activities scheduled for each month. These groups provide opportunities to encourage personal growth. 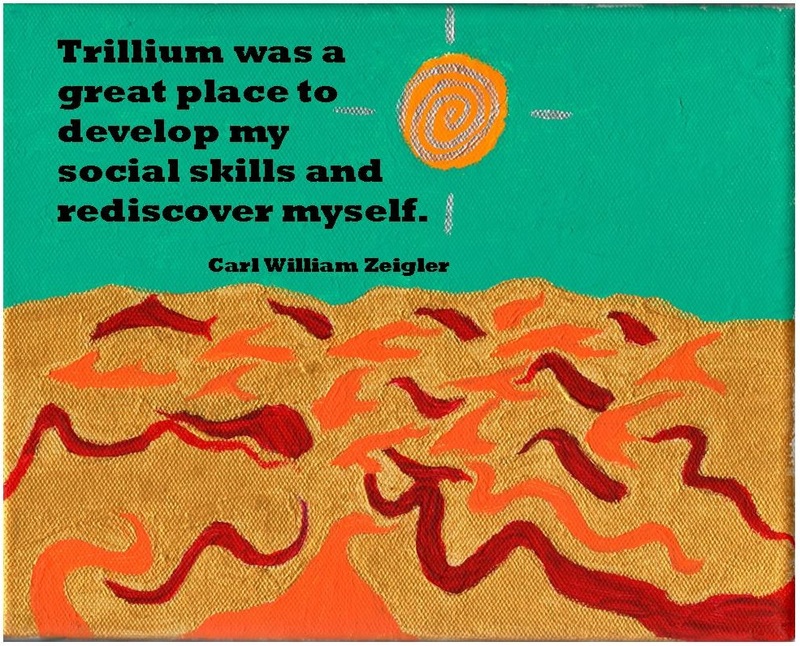 The Staff of Trillium mentors and coaches people to empower them to live a meaningful life while managing the challenges of their mental illness. We help to reduce the stigma of mental illness as well as reduce feelings of isolation and alienation in our stress-free stigma-free atmosphere. It is an emotionally and physically safe environment that we take seriously by enforcing a set of rules that focuses on behavior. People can watch television, play a game of cards or pool, or many other activities and connect with others while minimizing the focus on one's symptoms. Our classes and groups enhance one's personal journey by helping individuals understand their wants and needs. We help our members to see the positive in themselves and in their lives. Like a caterpillar that morphs into a beautiful butterfly, we at Trillium help people change their lives from the dark moments of illness to being heroes of their own mental health recovery. While here, people can learn to create independence and find a path where they can expand their horizons and have brighter and better days. We also provide an important service to the community by our participation in such programs as CIT and DIVERT. We promote recovery beyond our physical space and are a cutting edge, unique model for other organizations that give aid to those who suffer from serious mental illness.